A good book is the perfect way to set the scene for bed — and it's even better when both your book and your pajamas feature your favorite character! 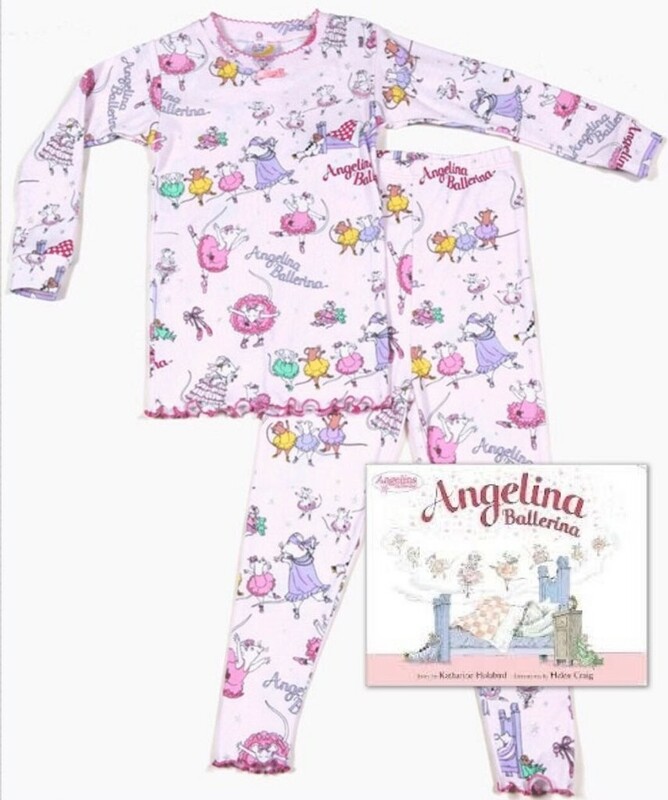 This Books to Bed pajama set features a pair of 100% cotton pajamas with an Angelina Ballerina print, and a copy of the original Angelina Ballerina book. These cozy PJs are made in the USA and are the perfect gift for any book lover! Available in infant size 24 months, toddler sizes 3T and 4T, and kids' sizes 4, 6X/7, 8, and 10.